Hit the bright lights of London’s West End with this ‘The Curious Incident of the Dog in the Night Time’ theater ticket. 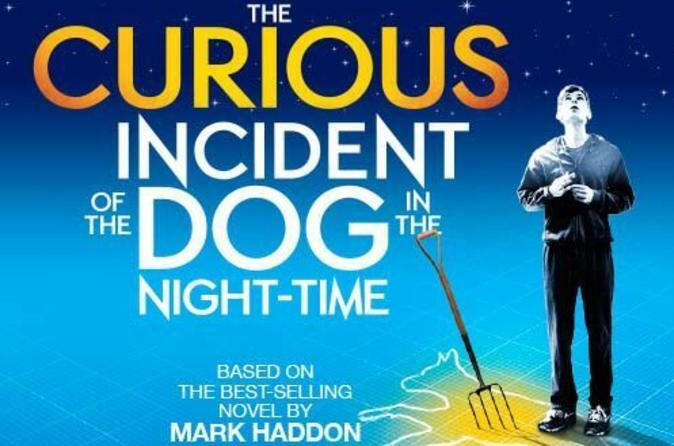 Take your seat in the famous Gielgud Theatre and — when the curtains rise — see British writer Mark Haddon’s popular story come to life. During the show-stopping performance, watch as autistic Christopher tackles life in his own unique way. The neighbor’s dog is dead and signs are pointing to foul play! Select the standard seating plan or upgrade your ticket for a delicious 2-course dinner before the show starts. London is a city brimming with exciting ways to spend your evening, and dinner and a show in the West End surely ranks among the best of them! Enjoy a night of magical live theater, and upgrade your ticket to complete the package with dinner before the show. Show starts at 7:30pm. Tickets will be held at the theater box office, available for collection 1 hour prior to performance.